Joel Quenneville is a Stanley Cup Champion who achieved success both as a player and a coach. 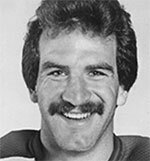 Due to his successful junior career, Quenneville was selected in the first round of the 1978 NHL Amateur Draft 21st overall. He began his career with the Maple Leafs before being traded to the Colorado Rockies where he spent two years before moving to the New Jersey Devils for the 1982-83 season. Along with playing for several AHL teams, he also played for the Hartford Whalers and Washington Capitals. He was named the Whaler’s Most Valuable Defenceman in 1984-85, and in 1985-86. For his career, Quenneville scored 54 goals and added 144 assists over 835 career NHL games. Quenneville finished his playing days in 1991-92 as a player coach with the St. John’s Maple Leafs of the AHL. A Second-Team All Star that year, he led his team to the finals that year. This was the start of even more success for “Coach Q” as he returned the following year as an assistant coach for one season, before becoming a Head Coach with the Springfield Indians. His time coaching in the AHL eventually earned him a job in the NHL where he has found considerable success. He was an assistant coach with the Colorado Avalanche and was a key part of their run to the Stanley Cup finals in 1995-96, which saw his team sweep the Florida Panthers. With his considerable playing history and success as an assistant, Quenneville was named Head Coach of the St. Louis Blues on January 6, 1997, becoming the 19th Head Coach in the team’s history. He was named the league’s best coach during the 1999-200 season, winning the Jack Adams Award. His St. Louis team won Central Division Championships and also the Western Conference with a 51-20-11 record which brought them 114 points in the regular season. He continued to coach the Blues until the 2003-2004 season, returned to the Colorado Avalanche in 2008-2009, and then moved to the Chicago Blackhawks. It is in Chicago that he has had his greatest success, winning the Stanley Cup in 2009-2010 , 2012-2013, and in 2014-2015.